SKILLED 3 wins at 2, A$581,850, AJC Champagne S., Gr.1, STC TL Baillieu H., L, AJC Pagewood 2YO H., 2d ATC Randwick Guineas, Gr.1, AJC Sires' Produce S., Gr.1, MRC Gothic S., L, 3d ATC Hobartville S., Gr.2, Royal Sovereign S., Gr.2, MRC Caulfield Guineas Prelude, Gr.3, BRC BTC Classic, Gr.3, 4th VRC Carbine Club S., Gr.3. He entered stud in Aust. in 2012. Sire of 123 progeny to race, 48 winners (39.0%), earnings of over $3.1 million, 2 stakes winners, inc.
PECANS (13f, Procol Harum, Aurealis). 6 wins-1 at 2-from 1200m to 1600m to 2018-19, A$385,490, Gosford RC Belle of the Turf H., Gr.3, Hawkesbury RC Godolphin Crown, Gr.3, Ladies Day Cup, L, ATC Schweppes H., 2d ATC Turf Club H., McGrath Estate Agents Vic H., 4th ATC Reginald Allen H., L.
FISCAL FANTASY (14f, Papal Power, Imposing). 4 wins from 1600m to 2100m to 2018-19, NZ$120,266, Manawatu Breeders, Gr.3, Waikato RC Dunstan Feeds Qualifier, 2d ARC Vertical Logistics H., Fasttrack $5k H., Hawkes Bay Tumu ITM H., 3d ARC Dunstan Feeds Championship Final, Ezgo Platinum Rentals H., BOP RC Worlds End Bar Restaurant H.
Lady Skills (13f, Grandera, Salieri). 7 wins from 1200m to 2000m to 2017-18, A$181,155, Townsville Cup, 2d MRC Elaren Security Services H., Win a Car at Highways H., MRC (Mornington) Mornington Auto Group H., 3d Cairns Cup, MRC Le Pine Funerals H.
Clever Charlotte (15f, Planchet, Clear Choice). 2 wins-1 at 2-at 1100m to 2018-19, TRC Hobart Limo Service 2YO H., Roat H., 2d TTC Sportie's Hotel H., Book Your Next Function H., 3d TRC Carbine Club P., Tony Carrick Vase H.
Miss Jane (13f, El Moxie, Zabeel). 5 wins to 1250m to 2018-19, A$123,200, SAJC Farmers Iced Coffee Edge H., Legacy 70th Anniversary H., Adelaide Galvanising H., 2d SAJC Seymour Bloodstock H.
Exalted Craftsman (13g, Blevic, Keepers). 4 wins from 2100m to 2400m to 2018-19, A$121,425, SAJC Soul Growers Wines H., 2d SAJC Irish Race Day H., 3d SAJC AAMI H., Holdfast Insurance H., Mypunter.com H.
So Skilled (13g, Spectrum, Last Tycoon). 3 wins at 1200m, 1250m to 2017-18, A$91,500, SAJC Adelaide Galvanising H., Schweppes H., Ubet H., 3d SAJC Holdfast Insurance H., Schweppes P.
Cayman Dayze (13f, Xaar, New Regent). 2 wins at 2, Oakbank RC Big Screen Video 2YO H., 3d SAJC William Hill P., MAC Stop Drug Driving H.
Come on Carl (14g, Skilful Star, Crested Wave). 3 wins from 1600m to 1700m in 2018-19, A$99,235, 2d MVRC Bertocchi Magical Kingdom H., 3d MRC (Mornington) Handyman Steel Supplies P.
Altered (13g, Lonhro, Thunder Gulch). 3 wins at 1350m, 1500m to 2017-18, 3d BRC Carlton Mid H., 4th Macau Lisboa Challenge Final, L.
Cosmic Ruby (15f, Street Cry, Night Shift). 2 wins at 1000m, 1100m in 2018-19, 3d MVRC Dominant Homecare Products 2YO H., MRC Le Pine Funerals 2YO H.
Tradies Tea Break (13g, Octagonal, Zephyr Bay). 2 wins at 1100m, 1500m to 2017-18, 3d MRC Sheen Group H.
Little Elsa (13f, Cape Cross, Anabaa). 2 wins-1 at 2-at 1000m, 1400m, TTC Get Well R Cossins H., TRC Sparks Business Development 2YO P., 2d TRC Hazell Bros H., TTC CRE Solutions H., 3d TRC Coopers Automotive 2YO P., Winning Edge H.
Leishman (13g, Jetball, Sir Tristram). 4 wins from 1300m to 1600m to 2018-19. The Skrill (13g, Delzao, Aliocha). 3 wins from 1400m to 2350m to 2017-18. Skilled Hunter (13g, High Rolling, The Challenge). 3 wins from 1400m to 2200m to 2017-18. Skilled Magic - Greatest Prodigy (Mac.) (13g, Dash for Cash, Western Symphony). 3 wins to 1500m to 2018-19. Regina del Nilo (14f, Savoire Vivre, Poacher's Moon). 2 wins at 1200m, 1400m in 2017-18. Rosaria Caterina (14f, Danzero, Citidancer). 2 wins at 1100m, 1300m in 2018-19. Clever George (13g, Hussonet, Akaaber). 2 wins at 1200m, 1300m in 2018-19. He's Got Skills (13g, Beautiful Crown, Biscay Wonder). 2 wins at 1400m, 1500m in 2017-18. Epidexios (13g, Brief Truce, Century). 2 wins at 1200m, 1350m in 2017-18, TRC Elwick Functions & Events P., 3d TTC Stuart Gandy P.
Conwoman (13f, Fuji Kiseki, Alquoz). 2 wins at 1200m, 1300m in 2017-18. Skilled Assassin (13g, Armidale, Been There). 2 wins at 1600m to 2018-19. Kuroyume (13g, Due Sasso, Carry a Smile). 2 wins at 1000m in 2018-19. Centre Scoota (15g, Entrepreneur, Grosvenor). Winner at 1100m in 2018-19. Francisco Pizaro (15g, Canny Lad, More Than Ready). Winner at 1000m in 2018-19. The Great Bratski (15f, Snippetson, Danzero). Winner at 1200m in 2018-19. Criterium (14f, Aliocha, Northern Chateau). Winner at 1200m in 2018-19, TTC P Hughes Office Solutions P.
Magic Merv (14g, Shagny, Gay Habit). Winner at 1150m in 2018-19. COMMANDS (AUS) (Bay 1996-Stud 2000). 4 wins-3 at 2, STC Missile S., Gr.3. Leading Aust. Sire of Winners 3 times. Sire of 1316 rnrs, 969 wnrs, 78 SW, inc. Melody Belle (Manawatu Sires Produce S., Gr.1), Appearance, Epaulette, Purple, Undue, Paratroopers, Holler, Commanding Jewel, Manuel, Skilled, Russeting, Erewhon, Rain Affair, First Command, El Cambio, Catalonia - Vilanova (Aust. ), Lamasery, Court Command, Paximadia, Soul, Rommel, Gregers, etc. SKILLED (c by Commands) 3 wins. See below. SIDESTEP (c by Exceed and Excel) Champion 2YO Colt in Australia in 2012-13. 3 wins-1 at 2-at 1200m, A$1,343,500, ATC Pago Pago S., Gr.2, Royal Sovereign S., Gr.2, Darby Munro S., L, 2d ATC Golden Slipper S., Gr.1, Fireball S., L, Canberra RC Black Opal S., L, 3d MRC Merson Cooper S., L, 4th ATC Golden Rose S., Gr.1, San Domenico S., Gr.3. Sire. AMBIDEXTER (c by Commands) 3 wins at 1400m, A$462,800, ATC Theo Marks H., Gr.2, NSW Tatt's RC Ming Dynasty H., L, ATC Ashcroft H., 2d ATC Epsom H., Gr.1, Frank Packer P., Gr.3, 3d Newcastle JC Spring S., Gr.3, 4th ATC Randwick Guineas, Gr.1, Rosehill Guineas, Gr.1, Spring Champion S., Gr.1, Hobartville S., Gr.2. Sire. Deft (f by Exceed and Excel) 3 wins to 1550m, A$136,160, to 2018-19, ATC Caterez H., Ranvet H., 2d ATC Theraces H., 3d ATC Australian Turf Club H., TAB H., Scone RC Pages Event Hire P.
Efficiently (f by Exceed and Excel) Winner at 1200m in 2018-19 in Aust. Serendipitious (f by Sepoy) Winner at 1600m in Aust. Impartial (g by Lonhro) Winner at 1450m in Aust. Hailed. 6 wins to 1400m, TRC Saturday Bridge H., PFD Foodservices H., Book for Glenorchy Rotary Race Day H., Tattersall's Park Function Centre H., 2d TTC Craig Hanson Memorial H., TRC Bam Bam Memorial H., Sorell Business Centre H.
Thumbs Up. 3 wins at 1000m, 1200m, A$80,750, to 2018-19 in Aust. Eighth Commandment. Winner at 1100m in Aust. DEXTROUS (f Quest for Fame) 5 wins. See above. Light Work (f Danehill) 3 wins-1 at 2-from 1400m to 1900m, A$271,935, STC Bookmakers H., AJC Matador Bullbars H., Dark Marne 2YO H., 2d AJC Australian Oaks, Gr.1, STC Ansett Australia S., Gr.1, Alfalfa 2YO H., 3d Cranbourne Cup, L, STC GJC Moore H., Florida Keys H.
PROVERB (g Commands) 3 wins-1 at 2-from 1200m to 1900m, A$322,795, BRC Gunsynd Classic, Gr.3, ATC Dulcify H., L, Turf Club 2YO P., 2d NSW Tatt's RC Ming Dynasty H., L, Seymour Cup, L, 3d MRC Sandown Guineas, Gr.2, VRC Carbine Club S., Gr.3, Newcastle JC Spring S., Gr.3, ATC Fernhill H., L, 4th ATC Schweppervescence H., Gr.3. Bromide (g Canny Lad) 8 wins-1 at 2-to 1500m, A$326,715, STC TAB Power Pays Welter H., De Bortoli Hunter Valley Welter H., AJC Corrida H., Maytag H., STC De Bortoli Windy Peak H., Tiaras & High Tea on Tea Rose Day P., Kevin R Sheather Electrical Group H., 2d BTC Bribie H., L, STC Zhen Corporate Centre H., Hyland Race Colours Welter H., Christmas Party at the Races Welter H.
Race Record: 18 Starts 3-3-4 A$581,850. COMMANDS 4 wins-3 at 2-at 1100m, 1400m, A$417,231, STC Missile S., Gr.3, VRC Poseidon S., L, STC Golden Slipper Festival 2YO H., Star City Roulette 2YO H., 2d AJC Galaxy H., Gr.1, 3d VATC Caulfield Guineas, Gr.1, AJC Expressway S., Gr.2, NSW Tatt's RC Roman Consul S., Gr.3, VATC JD Macdonald S., L. He entered stud in Aust. in 2000. Leading Aust. Sire of Winners (3 times). Leading Hong Kong Sire of Winners in 2015-16. Leading NZ Sire of 2YOs in 2016-17. Third on Aust. Sire list in 2010-11, 2012-13. Sire of 1316 progeny to race, 969 winners (73.0%), earnings of over $126 million, 78 stakes winners, 58 stakes placegetters, inc.
MELODY BELLE (14f, Iffraaj, Sir Tristram). Champion 2YO in NZ in 2016-17. Top Filly on The 2016-17 NZ 2YO Free H.11 wins-4 at 2-from 900m to 2000m to 2018-19, NZ$1,444,625, A$173,100, ARC New Zealand S., Gr.1, Hawkes Bay Tarzino Trophy, Gr.1, Windsor Park P., Gr.1, Manawatu Sires Produce S., Gr.1, Waikato Sprint, Gr.1, Otaki Maori RC WFA S., Gr.1, BRC Sires' Produce S., Gr.2, Waikato RC Foxbridge P., Gr.2, ARC Mr Tiz Trophy, Gr.3, Karaka Million, RL, 3d ARC Railway S., Gr.1, WRC Wakefield Challenge S., Gr.2, ARC Ray White NZ H.
APPEARANCE (08f, Grand Lodge, Palace Music). Leading Older Female on the 2014 WTR (Sprint).9 wins-1 at 2-from 1100m to 1600m, A$1,733,430, VRC Myer Classic, Gr.1, ATC Coolmore Classic, Gr.1, Canterbury S., Gr.1, Queen of the Turf S., Gr.1, Apollo S., Gr.2, Expressway S., Gr.2, Illawarra TC Keith F Nolan Classic, Gr.3, ATC Foundation Membership H., Bacardi Bar 2YO H., 2d ATC Triscay S., L, Clovelly 2YO H., 3d ATC Shorts H., Gr.2, 4th ATC Surround S., Gr.2, Golden Pendant, Gr.3, Wiggle S., L.
EPAULETTE (09c, Singspiel, Mill Reef). 5 wins-2 at 2-to 1400m, A$1,717,750, ATC Golden Rose S., Gr.1, BRC Doomben Ten Thousand S., Gr.1, MRC Caulfield Guineas Prelude, Gr.3, Canberra RC Black Opal S., L, ATC Australian Turf Club 2YO H., 2d ATC TJ Smith S., Gr.1, Todman S., Gr.2, 3d MRC Caulfield Guineas, Gr.1, ATC Run to the Rose H., Gr.3. UNDUE (01g, Bletchingly, Sir Dane). 13 wins to 1350m, A$1,120,455, BTC Doomben Ten Thousand S., Gr.1, MRC Oakleigh P., Gr.1, Heath S., L, VRC Taj Quillo H., Sale Quality H., SAJC Malaysia Airlines Magic Millions H., Allan Scott Park Morphettville H., Join the YC Twilight Party H., 2d VRC Age Classic S., Gr.2, 3d VRC Newmarket H., Gr.1, MVRC Australia S., Gr.1, MRC Sir Rupert Clarke S., Gr.1, 4th MVRC Manikato S., Gr.1, MRC Toorak H., Gr.1, MVRC Crystal Mile H., Gr.2, VRC Gilgai S., Gr.3. PURPLE (05f, Zabeel, First Consul). 6 wins-1 at 2-from 1400m to 2400m, A$1,137,113, STC Storm Queen S., Gr.1, Queensland Oaks, Gr.1, VRC Matriarch S., Gr.2, AJC Coogee 2YO H., Fairfield H., MVRC Members Equity Bank H., 2d VRC Matriarch S., Gr.2, MRC Sandown Classic, Gr.2, AJC Craven P., Gr.3, MRC Coongy H., Gr.3, Ladies Day Vase, L, VRC Moet & Chandon S., 3d NSW Tatt's RC Chelmsford S., Gr.2, STC Hill S., Gr.2, BTC Doomben Roses, Gr.3, AJC Galilee 2YO H., 4th AJC Warwick S., Gr.2, Bill Ritchie H., Gr.3. PARATROOPERS (02g, Sanction, Royal Yacht). 9 wins-1 at 2-to 1400m, A$1,930,185, AJC All-Aged S., Gr.1, Stan Fox S., Gr.2, STC Theo Marks S., Gr.2, Expressway S., Gr.2, Premiere S., Gr.2, Canterbury S., Gr.2, AJC TL Baillieu H., L, STC Golden Rose S., L, Smithfield RSL Club Quality H., 2d MRC Caulfield Guineas, Gr.1, STC George Ryder S., Gr.1, Canterbury Classic, L, MVRC Jayco Dealers 2YO P., 3d STC Skyline S., Gr.3, 4th STC Theo Marks S., Gr.2. COMMANDING JEWEL (09f, Zabeel, Nashwan). 5 wins from 1000m to 1600m, A$694,700, MRC Thousand Guineas, Gr.1, VRC Let's Elope S., Gr.2-twice, MVRC Mitchelton Wines P., 2d MRC Thousand Guineas Prelude, Gr.3, 3d VRC Edward Manifold S., Gr.2, MVRC WH Stocks S., Gr.2, MRC WW Cockram S., Gr.3. HOLLER (12c, Strategic, Bluebird). 4 wins-1 at 2-to 1300m, A$748,625, ATC Canterbury S., Gr.1, MVRC Australia S., Gr.2, Red Anchor S., Gr.3, ATC Hyland Race Colours 2YO P., 2d MVRC William Reid S., Gr.1, MRC Gothic S., L, ATC More Than Ready at Vinery H., 3d ATC Run to the Rose H., Gr.2, Australian Jewellery Liquidators 2YO P.
RUSSETING (04f, Bluebird, Salieri). 9 wins-2 at 2-to 1400m, A$542,570, Qld Tatt's RC Winter S., Gr.1, QTC Juanmo H., L, BTC Homestead Social Golf Club H., Think Pink Think Choices H., 2d QTC Strawberry Road H., 3d BTC Glenlogan Park S., L, GCTC Silk Stocking H., L, Qld Tatt's RC Carlton Draught H., 4th QTC Dane Ripper S., Gr.3. MANUEL (13g, Hussonet, Snippets). 8 wins from 1100m to 1600m to 2018-19, A$811,950, MRC CF Orr S., Gr.1, Kilmore Cup, L, SAJC M&J Chickens Autumn Series H., MRC Pegasus Leisure Group H., SAJC Hughes Limousines H., Junction H., 2d ATC Star Kingdom H., Gr.3, SAJC Schweppes 2YO H., VRC Grinders Coffee Roasters H., Melbourne's Own 3AW H., SAJC Murray & Barb Stewart H., Barry Simpson H., 3d ATC Inglis Sprint, 4th VRC Maribyrnong Trial S., L.
SKILLED (07c, Quest for Fame, Handy Proverb). 3 wins at 2, A$581,850, AJC Champagne S., Gr.1, STC TL Baillieu H., L, AJC Pagewood 2YO H., 2d ATC Randwick Guineas, Gr.1, AJC Sires' Produce S., Gr.1, MRC Gothic S., L, 3d ATC Hobartville S., Gr.2, Royal Sovereign S., Gr.2, MRC Caulfield Guineas Prelude, Gr.3, BRC BTC Classic, Gr.3, 4th VRC Carbine Club S., Gr.3. EREWHON (07g, Quest for Fame, Luskin Star). 4 wins at 1600m, 2000m, A$407,430, AJC Spring Champion S., Gr.1, ATC South West Kerbing H., AJC Centennial Lawn Suites H., 2d STC Gloaming S., Gr.3, ATC Bowermans Office Furniture H.
RAIN AFFAIR (07g, Octagonal, Marauding). 12 wins to 1400m, A$1,555,300, ATC Expressway S., Gr.2, Apollo S., Gr.2, Challenge S., Gr.2, Missile S., Gr.3-twice, Carrington S., L, At Sea H., De Bortoli Wines H., Harris Farm H., El Alamein H., Ashcroft H., STC Winning Post Restaurant H., 2d ATC TJ Smith S., Gr.1, All Aged S., Gr.1-twice, BRC BTC Cup, Gr.1, ATC Winning Post Restaurant H., 3d ATC Warwick S., Gr.2, Concorde S., Gr.3, 4th ATC TJ Smith S., Gr.1, Canterbury S., Gr.1, MRC Caulfield Sprint H., Gr.2, ATC Star Kingdom S., Gr.3, NSW Tatt's RC Concorde S., Gr.3. FIRST COMMAND (05g, Hurricane Sky, River Rough). 12 wins to 1200m, NZ$175,000, A$836,601, MRC Caulfield Sprint H., Gr.2, VRC Kensington S., L-twice, MRC LT Cleary S., L, Heath S., L, Mal Seccull H., Geoff Murphy H., Rokk Ebony H., MVRC Marsh Pty Ltd H., MRC Waratah H., 2d WRC Telegraph H., Gr.1, VRC Gilgai S., Gr.2, MRC Rubiton S., Gr.3, SAJC RN Irwin S., Gr.3, MRC Testa Rossa S., L, BRC Lightning H., L, 3d MRC Rubiton S., Gr.2, VRC Swisse Vitamins Century S., L, MRC WJ Adams S., L, Doveton S., L, 4th MRC Oakleigh P., Gr.1, Kevin Heffernan S., L.
EL CAMBIO (04g, Canny Lad, Twig Moss). 6 wins-1 at 2-to 1350m, A$802,450, 73,600Dhs, AJC Royal Sovereign S., Gr.2, VRC Gilgai S., Gr.2, STC Run to the Rose H., Gr.3, BTC Classic, Gr.3, Gold Coast Guineas, Gr.3, STC APN Outdoor 2YO H., 2d STC Golden Rose S., Gr.2, AJC Liverpool City Cup, Gr.3, BTC Sprint H., Gr.3, AJC Sydney Childrens Hospital Foundation Sprint H., STC Movers & Shakers Rosebud Quality H., Golden Slipper Day 2YO H., 3d Meydan Al Shindagha Sprint S., Gr.3, GCTC Prime Minister's Cup, L.
LAMASERY (06g, Quest for Fame, Sovereign Red). 11 wins from 1400m to 2400m, A$630,450, ATC Hill S., Gr.2, Kingston Town S., Gr.3, Colin Stephen H., Gr.3, VRC Johnnie Walker S., L, ATC Mad Mex Fresh Mexican Grill H., Tony & Manera Lahood H., AJC Dover Heights H., Australia Day at Warwick Farm H., 3d ATC Metropolitan H., Gr.1, NSW Tatt's RC Chelmsford S., Gr.2, 4th ATC Warwick S., Gr.2, MRC Zipping Classic, Gr.2, GCTC AD Hollindale S., Gr.2, ATC Sky High S., L.
COURT COMMAND (03c, Zoffany, Elocutionist). 6 wins-1 at 2-to 1400m, A$1,136,200, AJC Stan Fox S., Gr.2, Up & Coming S., Gr.3, STC Golden Rose S., Gr.3, BTC Sprint H., Gr.3, BRC Family Nightclub Quality H., 3d MRC Caulfield Guineas, Gr.1, 4th AJC Chelmsford S., Gr.2, San Domenico S., Gr.3. CATALONIA - VILANOVA (AUST.) (10g, Red Ransom, Last Tycoon). 4 wins-1 at 2-from 1100m to 2400m, NZ$61,650, A$590,460, MRC Autumn Classic, Gr.2, BRC Grand Prix S., Gr.3, ATC Tattersalls Club Cup, L, Waikato RC Star Way S., L, 2d BRC Sires' Produce S., Gr.2, Champagne Classic, Gr.2, Warrnambool Cup, L, ARC Barfoot & Thompson 2YO S., 3d Queensland Derby, Gr.1, ATC Up & Coming S., Gr.3, Craven P., Gr.3, ATC Cup, L, Erindale Liquor November Topaz H., Vinery Yearlings H., Tab.com.au H., Dunkirk H., 4th BRC JJ Atkins S., Gr.1, ARC Eclipse S., Gr.3, BRC Rough Habit P., Gr.3, VRC Roy Higgins H., L.
SOUL (07g, Night Shift, Vain). 5 wins-1 at 2-to 1300m, £84,919, A$335,550, 385,350Dhs, VRC Danehill S., Gr.2, Newbury Hackwood S., Gr.3, MRC Kevin Heffernan S., L, VRC Thebigscreencompany 2YO P., Meydan Attijari Points Rewards Program H., 2d Ascot Bengough S., Gr.3, MRC Vain S., L, Inglis 2YO Bonus H., 3d MRC Caulfield Sprint H., Gr.2, BMW H., 4th Royal Ascot Diamond Jubilee S., Gr.1, NSW Tatt's RC Concorde S., Gr.3, ATC Starlight S., L.
PAXIMADIA (10c, Fantastic Light, Sadler's Wells). 4 wins-1 at 2-from 1400m to 1600m, A$508,650, MRC Sandown Guineas, Gr.2, VRC Carbine Club S., Gr.3, Poseidon S., L, ATC RAAF 2YO H., 3d BRC JJ Atkins S., Gr.1, 4th BRC Sires' Produce S., Gr.2. GREGERS (10f, Canny Lad, Marauding). 6 wins-1 at 2-to 1400m, A$902,850, MRC Thousand Guineas Prelude, Gr.2, WW Cockram S., Gr.3, MVRC Mitchelton Wines P., MRC Australian Defence Force H., MVRC Aquanas Foods H., Sportingbet 2YO P., 2d SAJC William Hill Classic, Gr.1, Moonee Valley Fillies Classic, Gr.2, VRC MSS Security Sprint H., L, MSS Security S., L, MVRC Jeep 55 Second Challenge Heat H., 3d MRC Thousand Guineas, Gr.1, SAJC Robert Sangster Classic, Gr.1, VRC Bobbie Lewis H., Gr.2, MRC Bel Esprit S., L, 4th MRC Blue Diamond S., Gr.1, Oakleigh P., Gr.1, SAJC Goodwood H., Gr.1, MVRC William Reid S., Gr.1. ROMMEL (11c, Good and Tough, Cannonade). 4 wins-2 at 2-from 1000m to 1600m, A$493,350, Western Australian Guineas, Gr.2, MRC Zeditave S., Gr.3, WATC Peroni 2YO P., Budget Rent a Car 2YO P., 2d WATC Magic Millions Perth 2YO Classic, RL, Fairetha S., L, 3d WATC Magic Millions Perth 3YO Trophy, RL, 4th WATC AJ Scahill S., Gr.3. AMBIDEXTER (08c, Quest for Fame, Handy Proverb). 3 wins at 1400m, A$462,800, ATC Theo Marks H., Gr.2, NSW Tatt's RC Ming Dynasty H., L, ATC Ashcroft H., 2d ATC Epsom H., Gr.1, Frank Packer P., Gr.3, 3d Newcastle JC Spring S., Gr.3, 4th ATC Randwick Guineas, Gr.1, Rosehill Guineas, Gr.1, Spring Champion S., Gr.1, Hobartville S., Gr.2. OAK DOOR (13g, Orientate, Pompeii Court). 5 wins to 1400m to 2017-18, A$322,740, MRC Autumn S., Gr.2, VRC Better Beyond H., MVRC Art Series Hotel Group H., MRC Yarramalong Racing Club H., 2d MRC Christmas S., L, Joe Brown H., 3d SAJC RSL Anzac Appeal 2YO H., VRC Dorevitch Pathology H., 4th VRC Straight Six H., L.
WASHINGTON HEIGHTS (11g, Octagonal, Charmande). 5 wins to 1500m to 2017-18, A$317,775, HK$2,775,300, ATC Shannon S., Gr.2, Winning Post Restaurant H., NSW Tatt's RC Schweppes H., HKJC Age-Friendly Society H., Citi Ultima Card H., 2d ATC Kindergarten S., Gr.3, San Domenico S., Gr.3, HKJC Akeed Mofeed H., 3d ATC Blackwoods Gearwrench H.
MARCHING (04c, Grand Lodge, Bletchingly). 3 wins-2 at 2-from 1100m to 2050m, £6,716, A$759,375, 32,200Dhs, MVRC AAMI Vase, Gr.2, Radio Sport 927 2YO P., 2d VRC Australian Guineas, Gr.1, Sires' Produce S., Gr.2, STC Ajax S., Gr.2, MRC Caulfield Guineas Prelude, Gr.3, TS Carlyon Cup, Gr.3, Sandown S., Gr.3, VRC Lord Mayor's Charitable H., York Sportingbet.com S., 3d Victoria Derby, Gr.1, MRC Caulfield Guineas, Gr.1, HDF McNeil S., Gr.3, Haydock Spring Trophy, L.
ALTAR (08f, Octagonal, Crown Jester). Winner at 2, A$375,900, ATC Magic Night S., Gr.2, 2d VRC MSS Security Sprint H., L, ATC Darby Munro S., L, 3d SAJC Goodwood H., Gr.1, VRC Thoroughbred Breeders S., Gr.3, 4th ATC Light Fingers S., Gr.2, MRC Caulfield Sprint H., Gr.2, ATC Birthday Card S., Gr.3, Fireball H., L.
KANZAN (06f, Grand Lodge, Sir Tristram). 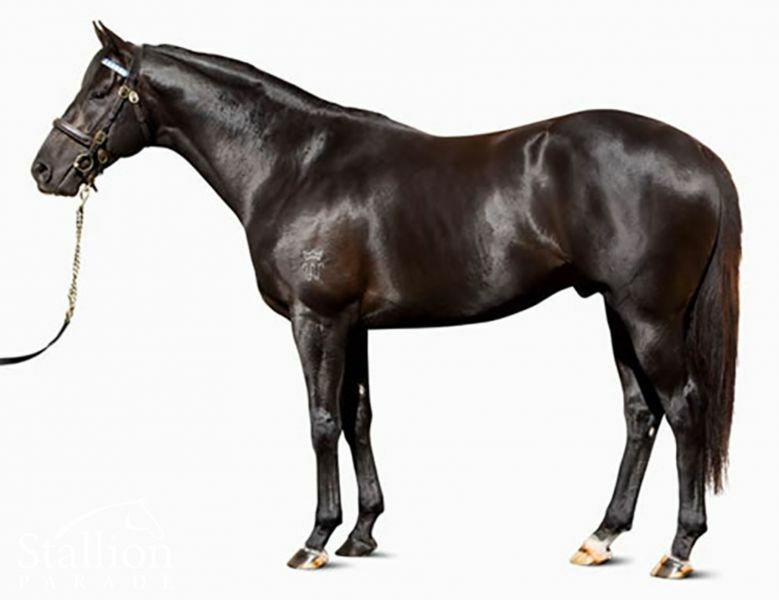 5 wins-2 at 2-to 1350m, A$486,650, BRC Glenlogan Park S., Gr.3, Hawkesbury RC Darley Crown, L, Yalumba Cup, L, Reavill Farm Inglis Series 2YO H., AJC Adpartners 2YO H., 2d STC Darby Munro S., L, GCTC Silk Stocking H., L, AJC Macau Jockey Club H., 3d MRC Thoroughbred Club S., Gr.3, AJC Razor Sharp H., L, STC Triple O Security H., 4th STC Heritage S., L.
FRIDAY CREEK (02g, Al Hareb, Gorytus). 8 wins-2 at 2-to 1500m, A$539,600, BTC Sprint H., Gr.3, STC Concorde S., Gr.3, Autoslide H., Chili's Live a Little P., Nova 96.9 H., City Tatt's RC It's a Better Bet With a Bookie H., 2d STC Ajax S., Gr.2, AJC Liverpool City Cup, Gr.3, Frederick Clissold S., Gr.3, Hawkesbury Gold Cup, Gr.3, SAJC Durbridge S., L, STC Nepean Engineering H., Chifley Financial Services H., 3d Newcastle JC Newmarket H., Gr.3, STC Aussie Mastercard H., 4th AJC Villiers S., Gr.2, STC Sebring S., Gr.3, Maurice McCarten S., L, Civic S., L, City Tatt's RC Lightning H., L.
RAREFIED (06g, Night Shift, Bletchingly). 4 wins-2 at 2-to 1200m, A$520,000, AJC Up & Coming S., Gr.3, ATC Hall Mark S., L, MRC Thomas North P., 2d WATC Winterbottom S., Gr.1, VRC Seppelt Salinger S., Gr.2, ATC Razor Sharp H., L, Lightning H., L, MRC Blue Diamond Preview (c&g), L, 3d VRC Yellowglen S., Gr.2, Danehill S., Gr.2, Moomba P., L, ATC Lightning H., L, STC Darby Munro S., L, Maurice McCarten S., L, Blackberry 2YO H., 4th ATC Sebring S., Gr.3. PROVERB (09g, Brief Truce, Handy Proverb). 3 wins-1 at 2-from 1200m to 1900m, A$322,795, BRC Gunsynd Classic, Gr.3, ATC Dulcify H., L, Turf Club 2YO P., 2d NSW Tatt's RC Ming Dynasty H., L, Seymour Cup, L, 3d MRC Sandown Guineas, Gr.2, VRC Carbine Club S., Gr.3, Newcastle JC Spring S., Gr.3, ATC Fernhill H., L, 4th ATC Schweppervescence H., Gr.3. POSADAS (02g, Christmas Tree, Alydar). 12 wins to 1250m, A$638,655, STC Star Kingdom S., Gr.3, AJC Latin Knight Welter H., MRC Pink Ribbon Cup, Toledo H., MVRC Sportingbet H., STC Twinings High Tea on Sale Welter H., AJC Bacardi Breezer H., Liverpool Leader H., Diggers' H., STC Wenty Leagues Club H., Merry Christmas H., De Bortoli Black Noble H., 2d AJC Hall Mark S., L, MRC Kevin Heffernan S., L-twice, STC Starlight S., L, AJC Fujitsu H., STC WN Bull Funeral Director's H., 3d VRC Century S., L, AJC Hall Mark S., L, STC Maurice McCarten S., L, Starlight S., L, City Tatt's RC Lightning H., L, AJC Chanteclair H., Endeavour H., STC Surf H., 4th AJC Frederick Clissold S., Gr.3, Hall Mark S., L-twice. IMPRISONED (01c, Sovereign Red, Whiskey Road). 9 wins to 1300m, A$303,150, STC Missile S., Gr.3, BTC Gregory Terrace Cup H., Tails & Veils H., QTC Conrad Treasury H., Gallipoli Research Foundation H., BTC Triple M's Totally Different H., Carlton Draught H., 2d City Tatt's RC Lightning H., L, QTC Lightning H., L, Wynns Coonawarra Estate H., 3d MVRC Schweppes S., Gr.2, Qld Tatt's RC Kramer Technologies H.
SHE RULES (05f, Kenfair, Ben Fab). 7 wins from 1200m to 1800m, NZ$109,675, A$2,500, WRC Cuddle S., Gr.3, Whangarei RC Spring P., Waikato RC Loch Haven Thoroughbreds H., Micam Aluminium H., Fairdale Stud Fully Fledged H., 3d Counties RC Auckland Thoroughbred Breeders' S., Gr.2, ARC Telecom H., 4th BOP RC Tauranga S., Gr.3. QUEEN'S COMMAND (07f, Unbridled's Song, Yeats). 6 wins from 1600m to 1800m, R495,695, Greyville Flamboyant S., Gr.3, Clairwood Play an All to Come Bet H., Roski Stud H., Greyville NCO's Mess P., 2d Scottsville Vincent Curtis River Indigo H., Clairwood Soccer 6 P., Durbanville PSL Soccer 6 H., 3d Scottsville Off to Stud H., L, Clairwood East Coast H., L-twice, Greyville JVR Steel P., Kenilworth ICA Laboratories P.
GIRL IN FLIGHT (10f, Machiavellian, Nureyev). 4 wins from 1300m to 1800m, A$285,630, SAJC Schweppervescence S., Gr.3, MRC Lee Thomas Gift H., 2d VRC Matriarch S., Gr.2, MVRC Sunline S., Gr.2, 3d VRC Vanity S., Gr.3, MVRC Alexandra S., L, 4th VRC AV Kewney S., Gr.2, Frances Tressady S., Gr.3. COMMANDING HOPE (04g, Prego, Straight Flight). 4 wins to 1200m, A$271,790, MRC Bletchingly S., Gr.3, MVRC Dominant H., 2d SAJC RN Irwin S., Gr.3, VRC Central Cleaning Supplies H., MVRC Direct Mail Marketing Quality Flying H., Clifton Formwork H., CFMEU 8 Hour Labour Day H., MRC St Covet H., 3d SAJC Goodwood H., Gr.1, Swan Hill JC Golden Topaz H.
THAMES COURT (12f, Canny Lad, Al Hareb). 3 wins from 1200m to 1600m, A$319,150, MVRC Alexandra S., Gr.3, City Jeep Cherokee H., 2d VRC Let's Elope S., Gr.2, MRC Mannerism S., Gr.3, WW Cockram S., Gr.3, 3d Moonee Valley Fillies Classic, Gr.2, MRC Foundation P., 4th MRC Sir Rupert Clarke S., Gr.1, Geoffrey Bellmaine S., Gr.3. RIMRAAM (14f, Singspiel, Nashwan). 2 wins at 1400m, 1750m in 2017-18, A$238,305, VRC Vanity S., Gr.3, 2d MRC Ethereal S., Gr.3, 3d ATC Surround S., Gr.1, VRC Wakeful S., Gr.2, 4th Illawarra TC Kembla Grange Classic, Gr.3. His sire sons include Epaulette (6), Court Command, Skilled, Atomic, Ambidexter, etc. Fastest Group 1 Champagne Stakes winning colt since 1985, having been touched off in the Group 1 Sire’ Produce. Dam also bred Group 1 horses AMBIDEXTER and SIDESTEP. First juveniles are already winning.